…and are you ready for the twist? After 50,000 submissions, I can announce that the Metro Tunnel station at Parkville will be named… Parkville. Just makes sense. North Melbourne (working name Arden) — yes, they’re going to rename the existing North Melbourne to West Melbourne, to reflect where it actually is located… and use North Melbourne for the brand new station. It’s not a totally crazy idea. The level of confusion will depend on how well it’s handled. I’d hope the renaming would happen as early as possible (perhaps when all the network maps are all re-printed for the Mernda rail extension opening in 2019) — well ahead of the new station being completed. As for the others… they’re all good location-based names, which tell you precisely where the stations will be, and that was always the priority in my opinion. Many people said would have liked CBD South to be named as part of Flinders Street, and CBD North as part of Melbourne Central, but emergency services and others raised concerns about confusion with this in emergencies. 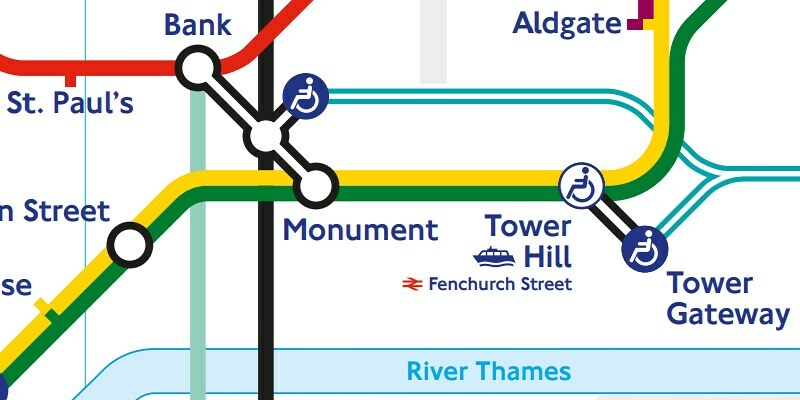 Hopefully the new rail maps will show the direct connection — this is done on many networks, such as London. I was on the naming panel which gave recommendations to government. I can’t tell you who gave which opinions, but a wide variety of names were thrown around; some geographic/landmarks, some cultural and historic figures and references. So all in all, a pretty good set of names, which should help people navigate their way around. … Though fans of the Simpsons, Game of Thrones and Vegemite may not be happy. And while we wait for the tunnel to be actually built, let’s not forget that some service upgrades (such as all-day ten minute train services to most stations) are possible now, before it’s built. I’m curious as to what your naming suggestions were, Daniel. I’m not at all sure having a new North Melbourne station is a good idea. When people refer to “North Melbourne” station they may mean the former station. This could confuse emergency services when responding to an incident. I still refer to Southern Cross as “Spencer Street” and occasionally Melbourne Central as “Museum” out of old habits, but this is not ambiguous. Oh well, we’ll wait and see. Anzac is terribly jingoistic. Horrible choice. The others are fine though. If they’re determined to rename North Melbourne station to West Melbourne, they should do it immediately. Daniel, you said you hoped for 2019, but I think it should be much sooner. Start changing all the signage and printed material right now. If the cost of reprinting paper timetables and maps right now is too great, they could have temporary signs at the station and on the PIDs saying “West Melbourne (North Melbourne)” so that no matter which map or timetable someone is looking at, they’ll know they’re in the right place – and then replace them with just “West Melbourne” as soon as the new material is printed. There’s no logical reason to delay the name change. Changing it now will provide the longest lead time possible for people to get used to it before the new North Melbourne pops up. People need that lead time, because as @Roger explained above, old habits die hard. We will get used to it. 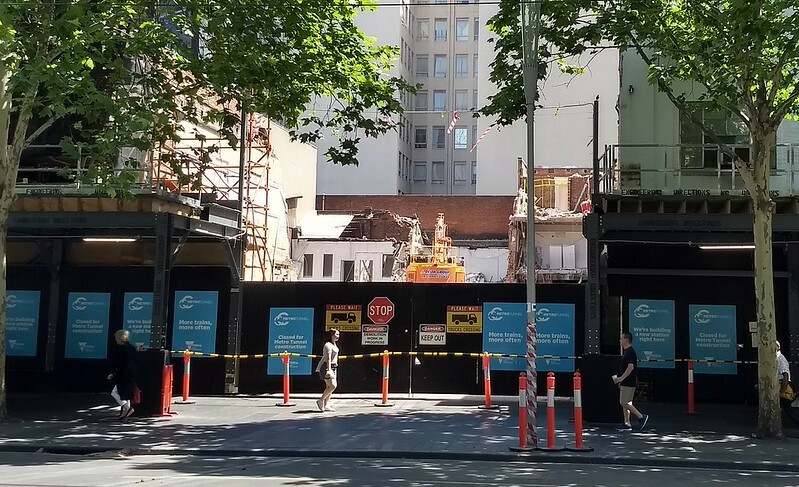 We got used to Museum becoming Melbourne Central, Spencer Street becoming Southern Cross, and Sydenham becoming Watergardens (albeit moved slightly). But the more lead time, the less confusion there will be. Having the name change occur too close to when the new station opens is just asking for trouble. If they’re renaming stations, then perhaps Melbourne Central should have been called State Library and CBD North be called something else. I would have preferred Anzac to be called Domain. At least the “North Melbourne in West Melbourne” pet peeve of mine is now out of the way. I too would go with just Library. I don’t mind the others, bar one, and it is not a bad thing to rename North Melbourne to West Melbourne. I wonder why it was ever called North Melbourne? However, I hate the name for my local station, Anzac, and it should be Domain. Anzac makes me cringe a little, but it could’ve been worse. I’d have preferred Domain. The rest I’m not unhappy with. It’s good they’re location-based. From a PR viewpoint it makes sense that they’d give CBD North & CBD South their own names. An opening ceremony for a new station is more exciting than an opening ceremony for some extra platforms of an existing station. I just hope they build good interchanges between the adjoining stations, underground. – I was amazed at Anzac. It is a great choice & also quite bold as it flies in the face of the often unpatriotic currents in modern Australian society. – Town Hall is prosaic but practical I guess. Not quite happy with it but what else could it have been? – If anything, Melbourne Central should be called State Library not CBD North. City Baths might’ve worked, though the City Baths aren’t a particularly prominent destination. – Parkville is very much the right choice. – Arden should’ve remained Arden. Future readers of archival news will forever be confused about North Melbourne. This is the only bad choice. I really hope they’ll change their minds about a new North Melbourne station. You could have gone with Ardern to go with Seddon. On the North Melbourne name, I love the renaming of the existing North Melbourne. I am however opposed to using that name at the new Arden location, simply because of the confusion factor. Otherwise I am fine with the other choices.